This week, three Sudanese students were arrested by police and allegedly tortured while in the custody of security services, apparently due to their association with the Girifna movement which is involved in peaceful political activities and critical of the ruling National Congress Party (NCP). The African Centre for Justice and Peace Studies (ACPJ) said in a statement that “These arrests are the latest in a string of attacks on civil society in Sudan, which has seen an increasingly repressive environment for human rights defenders in the months since the elections. The tactic of referring detainees from police custody to NISS offices has begun to be employed systematically, sending clear signals to civil society and the broader human rights community that any offense will be treated as a national security issue.” Please do one or more of the easy, suggested actions to help ensure that the U.S. is not standing by silently. This is [your name] calling from [city, state]. 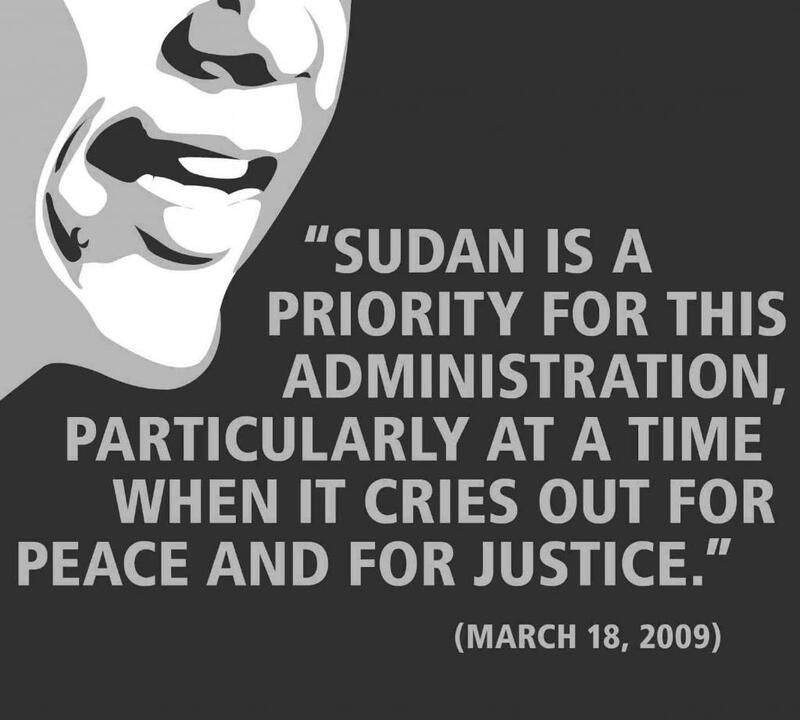 I’m calling to ask [Secretary Clinton- Ambassador Rice-President Obama] to speak out about problems in Sudan. In particular, why have you been silent about the recent news of Sudan arresting and torturing peaceful youth leaders? Please don’t be MIA on Sudan. Urgent Action: VP Biden in Africa This Week!